Allison Symms had forgotten everything about that night over twenty years ago. The night she was held captive in an old cabin in the woods. Last thing she can remember is running through the woods and crashing head on into something, falling back knocking herself unconscious. She doesn’t remember anything about that night until one day she gets knocked over by a city bus taking a turn to sharp and hits her head against a flower planter and goes unconscious once again. Then she begins to have horrific nightmares and flashbacks to events that she can’t remember. After seeing her therapist and undergoing hypnosis, all is revealed about the lost events of that one traumatic night. Allison decides to take the law into her own hands and take Fear's Revenge on the four boys that held her captive. As each detailed step of revenge Allison takes against, Cole, Tyler, Tony and Bobby she is beginning the healing and growing process in more ways than she bargained for. ​Lillian Anderson thought she had everything that she was entitled to in life. She married her college sweetheart, David, and was a successful and well-respected child psychotherapist in sunny California. Fast forward a decade. Lillian now finds herself stuck in a loveless marriage to a man that had become a womanizing drunk. Her life had become mundane and routine. That is until she met with her newest patient and her ghostly playmate. Lillian’s life is instantly turned upside down as she is drawn into the paranormal world of unsettled spirits and their unfinished business in our earthly world. 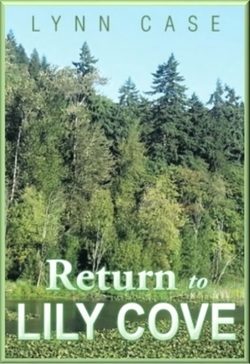 She is given a rare opportunity to change events in her past to assist her with getting her present and future back onto the path that was her destiny. With the help of a special friend, and a few old ones from her childhood hometown, Lillian tries to find the one event that changed her life in some scary, funny and some adult situations. 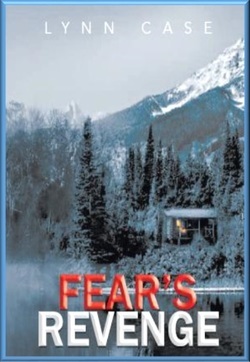 Gabrielle Grimaldi, the former party girl from Fear’s Revenge, thought she had finally found the right man, Frank, to settle down with. Her career in the fashion world was beginning to take off. That is, until she gets the opportunity to do some training in Italy and meets Giada Rosso, a wild Italian, fast-driving, hot-tempered fashion house maverick that would be her trainer. The two women have an instant connection. Then Gabrielle meets Antonio, Gia’s brother, and tensions begin to rise between the three of them. She finds herself reverting to her wilder ways. Gabrielle soon discovers that her newfound friends have a questionable family business on the dark side of the law. She soon discovers shipments in the family vineyard wine bottles hidden among fabrics for the fashion house. Soon she must decide between her boyfriend in America and her new friends in Italy. Confusion and tension rise as emotions continue to run high as kidnapping and sexual encounters ensue. 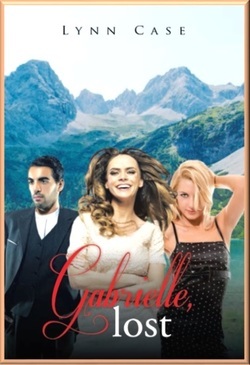 Gabrielle then learns the connection between her boyfriend and her new friends in Italy. Will this be the end of her and Frank? Catherine Dumont married SJ Worthington, an older financial dynamo, in her senior year of college. He was twenty-five years her senior. She became the socialite trophy wife. Then SJ dies unexpectedly of a heart attack, or was it murder? Who is the dark figure caught in the security camera after the will had been read? Catherine tries to move on with her life and follow her college dream of a dude ranch in Wyoming. Not long after her move to Wyoming, cattle slaughters in the area begin to raise suspicion and a stranger is seen watching her cabin just beyond the tree line of her property.With the help of her young loyal ranch hands, and one Indian Chief, will they succeed in catching him? Was there a connection to SJ’s death and the cattle slaughtering? Was Catherine the ultimate target?